With so many growing families in the area, Manor Lakes is well equipped with a kindergarten, early learning centres, primary and secondary schools. This purpose built centre is located in front of Manor Lakes Shopping Centre and operates Monday to Friday from 6.30am to 6.30pm. Children can enjoy four spacious playgrounds, two with permanent climbing equipment and safe fall flooring allowing youngsters to explore the space with confidence. The caring and qualified staff concentrate on building children’s independence, confidence and social skills. Everything your child requires in a day is catered for, including nutritious meals prepared fresh onsite by the centre cook. A highly desirable council run centre, Wyndham Vale Kindergarten provides educational programs for 4-year-old children and emphasises the development of physical and social skills, as well as emerging numeracy and literacy skills in an exciting and stimulating environment. The programs cleverly combine education and fun, giving children the chance to learn by doing, observing and discussing with their peers. During their kinder year, children are encouraged to work with others and make friends through group activities and cooperative play, explore their creativity and build their verbal and listening skills. The kindergarten’s dedicated educators deliver an engaging and varied program that’s tailored to the individual needs of children’s unique developmental stages. Established in 2009, Manor Lakes P-12 College is an exciting and developing college that is committed to inclusive education. The school offers students a vast curriculum and catering from prep to year twelve. With state of the art facilities and dedicated caring staff, the College focuses on supporting its growing student population; it is set to become one of the larger schools in Melbourne’s western suburbs. Staff, students and the community at Manor Lakes P-12 College actively seek to live, learn and interact with the broader global community, modeling itself on the College’s four expectations and behaviours of showing respect, valuing our community, aiming high and being safe. Our Lady of the Southern Cross Catholic Primary School is a well-equipped facility with plenty of modern open spaces, a performing arts studio, numerous sports facilities and a horticulture program. The school places emphasis on providing an exceptional educational experience that provides their students with learning techniques beyond the school precinct and enables them to interact with the broader community, both locally, nationally and globally. 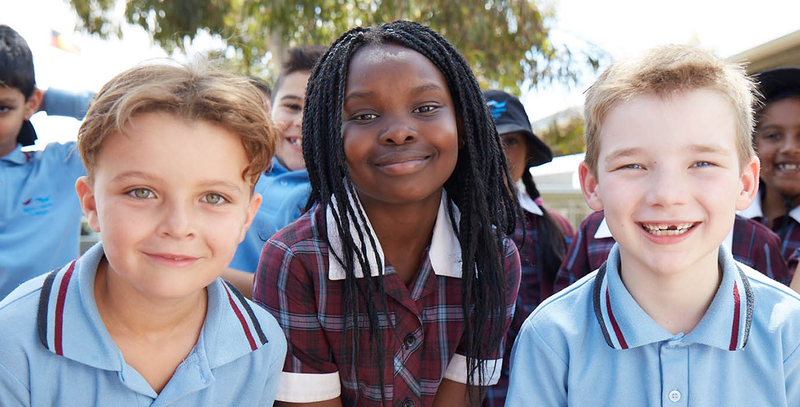 Our Lady of the Southern Cross Catholic Primary School caters for students from prep to grade six, the school enables students to gain direct entry to MacKillop Secondary College in Werribee.